Flossie Birdwhistle is the Turnkey at London’s Highgate Cemetery. As Turnkey, Flossie must ensure all the souls in the cemetery stay at rest. This is a difficult job at the best of times for a twelve-year-old ghost, but it is World War II and each night enemy bombers hammer London. Even the dead are unsettled. When Flossie encounters the ghost of a German soldier carrying a mysterious object, she becomes suspicious. What is he up to? Before long, Flossie uncovers a sinister plot that could result in the destruction of not only her cemetery, but also her beloved country. Can Flossie stop him before it is too late? Flossie Birdwhistle is the Turnkey for Highgate Cemetery in London, a job that involves making sure that everyone buried in the cemetery is resting peacefully. But, seeing as it’s the middle of World War II, Flossie, a twelve-year-old ghost, has noticed some unrest from the spirits. However, she feels she has things under control. That is until she spots an SS soldier ghost up to something suspicious. As Flossie investigates the soldier’s appearance, her worst nightmares are confirmed; the soldier has found a way to give information to the living and the Nazis’ plan to use the information in the worst way possible. 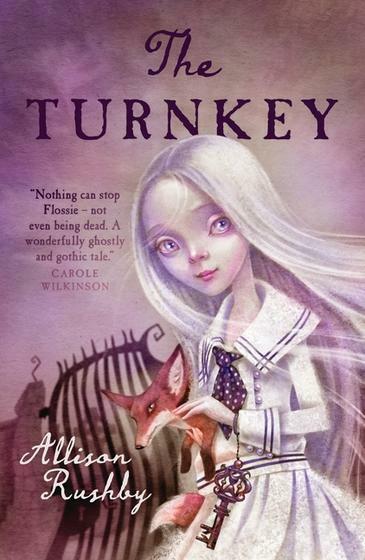 The Turnkey is an interesting paranormal mystery with an historical bent that will intrigue readers aged 9 up. Katherine Dretzke is a friend of Readings.